Physical inactivity is a major cause of disease for adults in the UK. Over 6 million adults aged 40 to 60 do not achieve 10 minutes of continuous brisk walking over the course of a month. One You set out to change that. The ‘Active 10’ app helped adults track the number of minutes walked each day and offered encouragement to get out the house and walking. 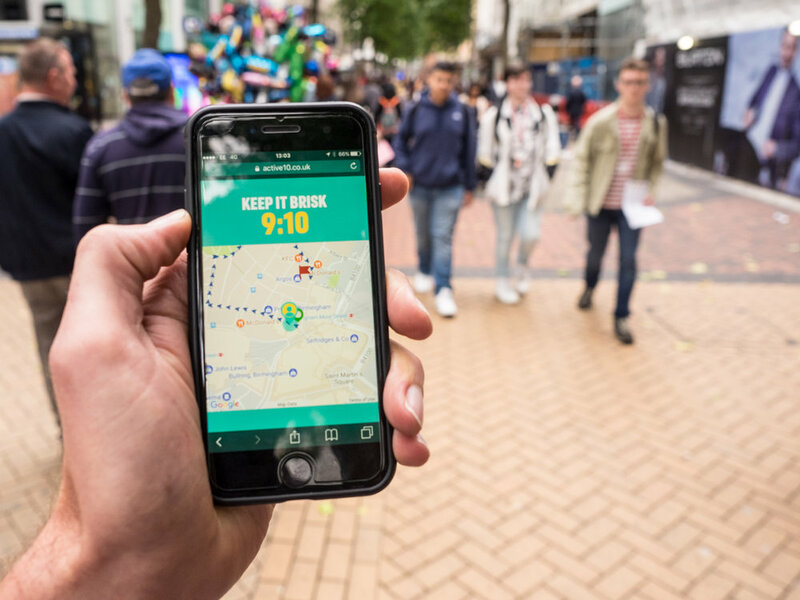 We promoted the app with an interactive campaign in major cities across the UK. Interactive billboards engaged adults and then asked them to walk briskly for 10 minutes. Using an app, we were able to track the time and distance each participant walked. If they arrived at the designated Boots after 10 minutes, their efforts were rewarded with a free Boots Meal Deal. We supported the campaign with PR, social and experiential activity, and even got key influencers Eamonn Holmes and Dr Hilary Jones to spread the word with 180,000 Facebook Live views of the activity. The activity had a total of 364,000 impacts across all media and contributed to over 380,000 Active 10 App downloads. Active 10 'Walk Your Way To a FREE Lunch' won in the Innovation category of Ocean Outdoor's Digital Out of Home Creative competition.